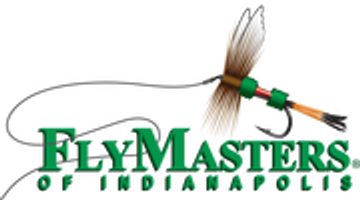 Over the years, the staff at FlyMasters has traveled extensively around the Midwest, the continental United States and the world in pursuit of great fishing. As is often the case the fishing takes us to wonderful lodges, resorts, remote cabins, great food, and some exceptional fishing guides. Although many of the places we fish are more than a day's travel from the Midwest (by car) we are most often asked about lodges and guides that are within a nine to ten hour drive from Indianapolis. Many people are looking for a two or three-day "get-a-way" to wet a line, enjoy some friends and unwind. To that end, we have this little page on our website that focuses on guides [and usually lodges they work out of and guide services that are within a day's drive of central Indiana. If you are looking for a longer trip and a destination a little further away feel free to contact us at the shop. We have years of experience to draw from and can help you find good lodging, great guides and a trip to remember. Indigo Guide Service is located in Walhalla Michigan on the famous Pere Marquette river. Depending on the season you can catch King Salmon, Steelhead, Brown and Rainbow trout. The Pere Marquette is well known for it's Gray Drake and Hex hatches in the summer months. As well as being great "mousing" waters for big browns throughout the summer months. Because of the diversity of fish available, the Pere Marquette fishes throughout the year, even in the winter. Indigo Guide Service is the premier (and only) guide service on Beaver Island guiding for Great Lakes Carp. If you have not experience catching a carp on the fly then Beaver Island and Indigo Guide Service is highly recommended. Beaver Island is a a very unique fishery and the guides at Indigo have it nailed down to an art. You will find Indigo up on the island from the end of May through July; peak Carp season! Riverquest Charters is located on the Muskegon River in Western Michigan. Riverquest Charters specialize in four season fishing on the Muskegon for Rainbow Trout, Brown Trout, Smallmouth Bass, Salmon and Steelhead (in season). The guides of Riverquest Charters have many years of experience as well as many years on the Muskegon. No matter the weather and the cooperation from the fish the guides at Riverquest Charter will do their best to make certain you have a great day on the water. If you need somewhere to stay when you are with Riverquest then look no further than The Muskegon River Lodge. Owned and operated by Steve Kuieck, the owner of Riverquest Charters, the Muskegon River lodge is a wonderful place to stay when you are not on the water and are looking to relax. Ripple Guide Service, founded by Dustan Harley, strives to make your day on the water as enjoyable as possible. Our guides go the extra mile to make sure your needs are met. With a day on the river with Ripple Guide Service, novice, and expert alike have the opportunity to experience the rivers we call home. Ripple Guide Service prides itself on teaching all aspects of fly-fishing and helping to preserve the rivers through the practice of catch and release. 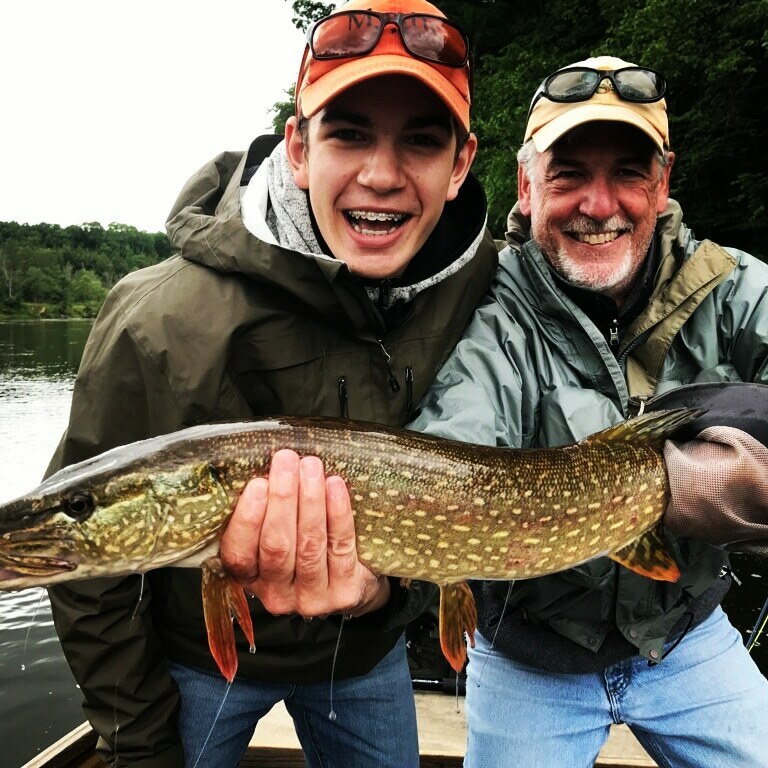 Whether you want to catch trophy fish or just spend a relaxing day on the water, our guides' knowledge of Northern Indiana and Southern Michigan rivers gives you the fishing opportunity of a lifetime. Gouker Fly Fishing offers a wide range of fly fishing opportunities on the Big Manistee, Little Manistee, and Pine rivers. 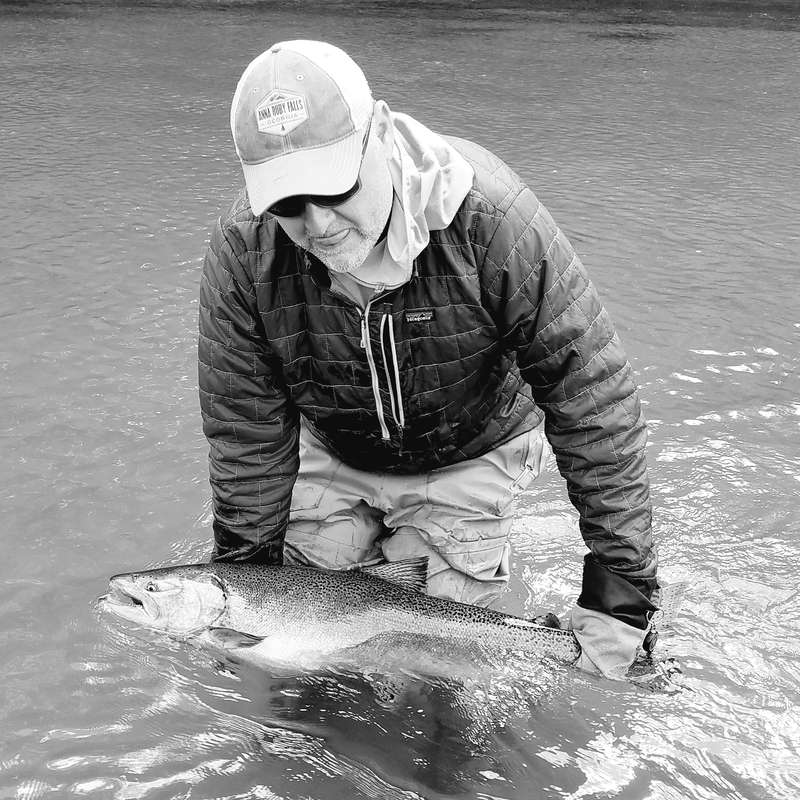 Owner and guide of 16 years, John Gouker is a lifetime angler, fly tyer, professional fly fishing guide, and fly fishing instructor. We are located in the middle of Michigan’s Huron-Manistee National Forests, and just minutes away from the waters we guide. Gouker Fly Fishing is a four season, full time guide service, that offers both full and half day fishing opportunities. Trout, Smallmouth Bass, Northern Pike, and Steelhead are all available, and make great targets for the fly angler. We take great pride in teaching all aspects of fly fishing and helping to preserve the rivers through the practice of catch and release. Whether you are a new to the sport, or an experienced angler, nothing gives us more satisfaction than watching a client have a fly fishing experience of a lifetime. Owner and guide of 16 years, John Gouker is a lifetime angler, fly tyer, professional fly fishing guide, and fly fishing instructor. John lives in Irons, Michigan with his wife Chasity, his son Ajae, and Chesapeake Bay retriever, Baylor. 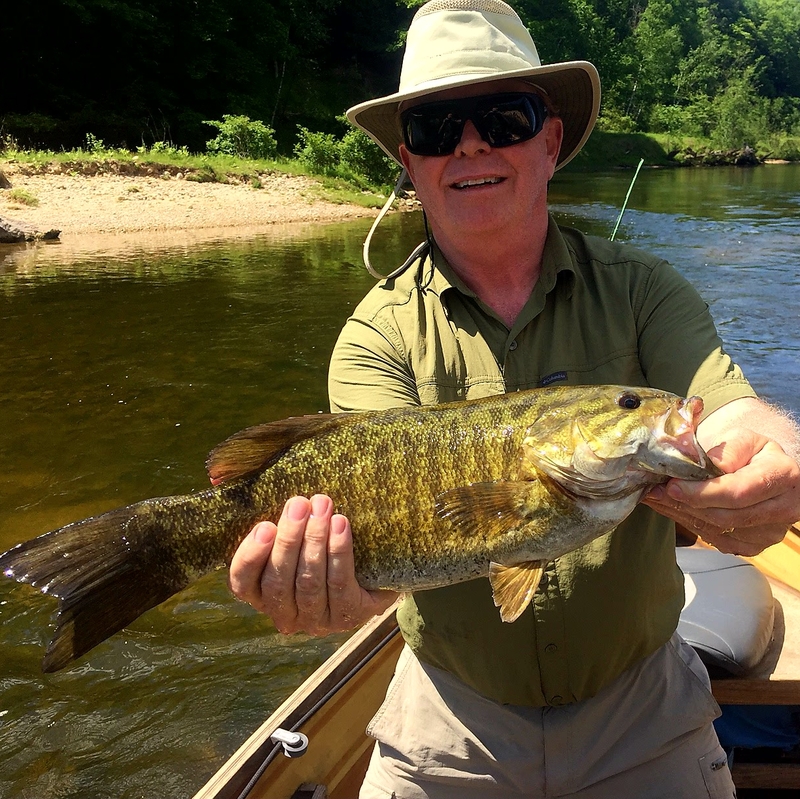 John specializes in walk or float trips on the Little Manistee River, and enjoys chasing all types of cold and warm water species, from trout to smallmouth. John fished extensively in his native Nevada, as well as northern California, Oregon, and Vancouver Island (British Columbia.) He has also travelled to fish the Patagonia region in Chile; and the north shore of Lake Superior in Ontario, Canada.